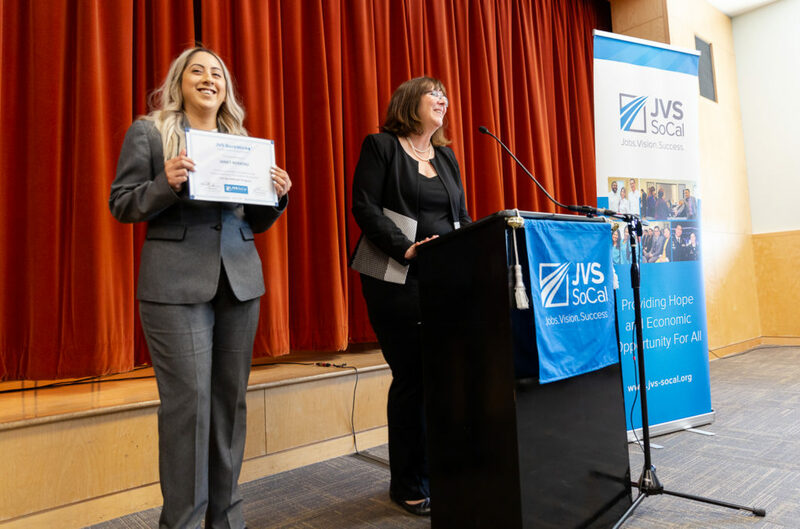 Combining technical and soft skills instruction, JVS BankWork$® is changing the lives of low-income and underemployed workers through a comprehensive eight-week training program. The banking industry has evolved as technology has transformed how customers interact with their banking institutions. The industry has responded by changing the public face of banking, the bank teller. This job is still the main entry point for workers without college degrees to make a good living. However, the position entails more than keeping the drawer balanced. As the industry shifts to a more customer-centric focus, bank tellers won’t become obsolete, they’ll have different titles and responsibilities. 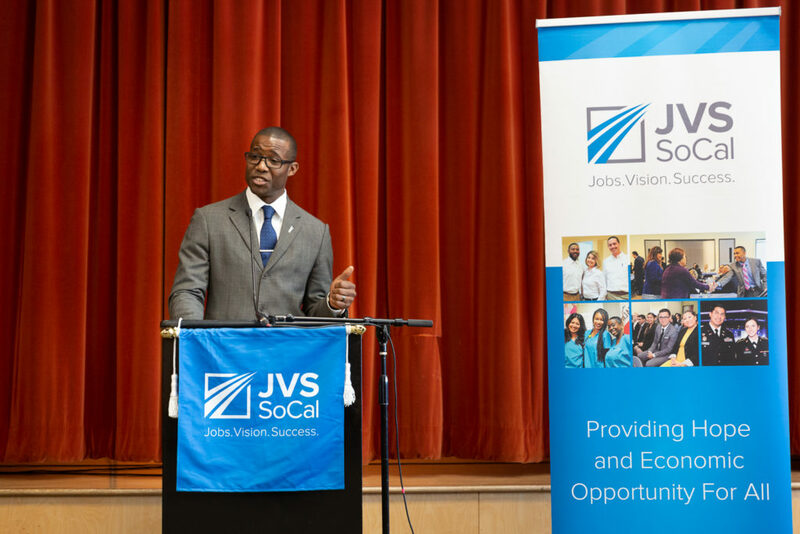 Since its inception in 2006, the JVS BankWork$® program have delivered the foundational skills for entry-level banking jobs to low-income and underemployed workers in Los Angeles. As a diverse range of front-line customer service roles crops up in bank lobbies, this free training program has changed with the times as it continues to improve the lives of its participants. JVS BankWork$ graduates Jerry Walker and Janet Romero received the technical and soft skills to take on new roles. They took a chance on JVS BankWork$ and themselves when they were confronted with the reality that their professional lives could not afford them the economic or job security they desired. After the intensive eight-week course, Walker and Romero emerged stronger than when they entered, ready for whatever the banking world threw at them. They got more than a job offer at the end of the program; they got the opportunity to launch new careers. When he described what his life was like before JVS BankWork$, Walker gave a vivid analogy of the precarious nature of balancing two jobs and raising three kids. 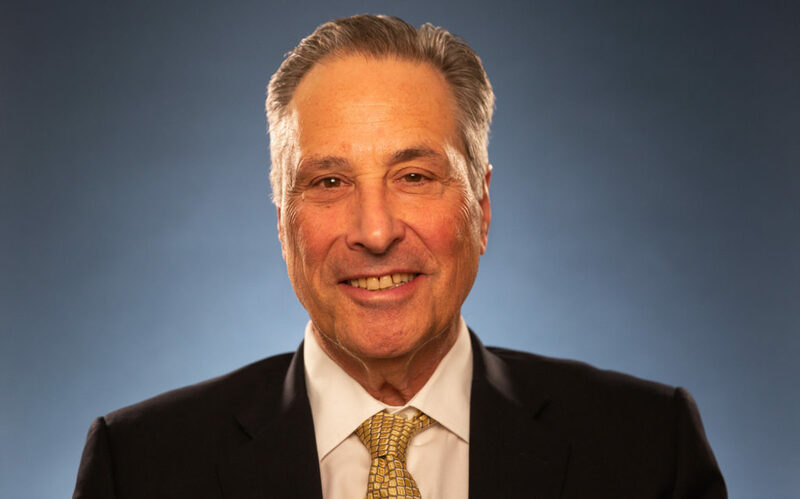 Walker had fought through the struggles of not completing his college degree in the early 2000s to piece together a varied career as a financial consultant, mortgage broker, tax preparer and career counselor. The math and computer skills he developed in school and on-the-job served him in both the private and nonprofit sectors. But with the rising cost-of-living in California and the diminished quality of life of seeing his kids two days a week, he struggled to meet the status quo. Then in 2016, he lost his second job working at a nonprofit organization after budget cutbacks. The supplemental income that Walker and his family counted on went away. After almost six years of working at the nonprofit helping young people find new job opportunities, he was now in need of assistance. “I didn’t know what I was going to do really. I didn’t know how I was going to get up to the next level,” Walker said. Though Walker was unfortunate to lose his job at the nonprofit, he was in the right place to find a new one. Days before he was let go, the associate director of JVSWorks® and JVS BankWork$ instructor Lisa Meadows delivered flyers about the program. He quit his first job, structured his 401(k) and savings to cover the three months he would dedicate to the program and finding a job. He took over getting his kids ready for school before heading to JVS BankWork$ classes on Mondays, Wednesdays, and Fridays. While Walker was familiar with JVS BankWork$ and its 89 percent placement rate with its banking partners, Romero was skeptical about a free program that promised skills training and a shot at a banking job. 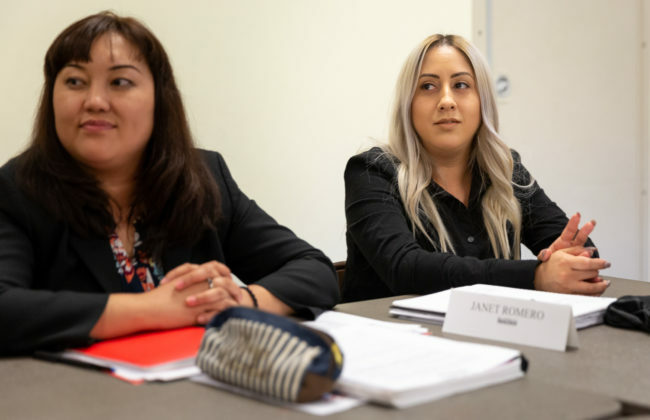 Instead of working her way up a career ladder, the Corona, California resident bounced from low-paying food service work to health care to sales and finally settled into a well-paying but low-skilled warehouse job. She said that she always had an interest in going into banking, but she did not know where to start. “Growing up, I always wanted to do that. I just didn’t think that I had what it takes to work at a bank,” Romero said. Romero experienced pitfalls that come with chasing a better life. She racked up college debt to enter the healthcare sector as a Medical Assistant, but it was not the right fit. She was let go from the warehouse job in 2016 as she was trying to raise her two young children as a single parent. She wanted to find something that would lead to a better career and her daycare provider had an idea, go back to school with JVS BankWork$. If she made that decision, it would require her to drive over two hours each way to attend the day-long sessions. 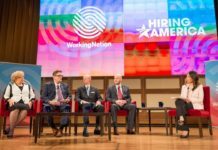 As it turns out, American banks have a vested interest in bringing more workers into the industry, even with the increased adoption of automation technology. The advent of ATMs and, later, online banking, did not bring a reduction in teller positions. Despite incorrect predictions of widespread layoffs, the exact opposite happened. With more ATMs, it became cheaper to operate bank branches because banks could get by with fewer tellers. With banks opening more branches, the industry needed more bank tellers. According to the Bureau of Labor Statistics figures and the research of James Bessen, the industry added nearly 300,000 tellers between 1995 and 2010. As an entry-level job, bank tellers can earn a median annual wage of $28,110 without obtaining a college degree. After adding in full-time benefits and job security, a bank teller job can have a distinct advantage when compared to minimum wage work without a career pathway. This advantage and omnipresence of bank teller jobs led former Wells Fargo Chief Operating Officer Les Biller to approach JVS SoCal Chief Operating Officer Claudia Finkel to create a program which would connect individuals from low-income neighborhoods in and around Los Angeles to entry-level positions in banking. The organization discovered that a universal starting point for workers without college degrees was the bank teller role. That would be the starting point for the curriculum. “We had this vision that there could be this training program that could help low-income adults principally from communities of color aspire to careers in banking. Not just jobs in banking, but careers,” Biller said. Biller said employers overlooked viable candidates because they were not willing to take the time to vet them or invest in their training. 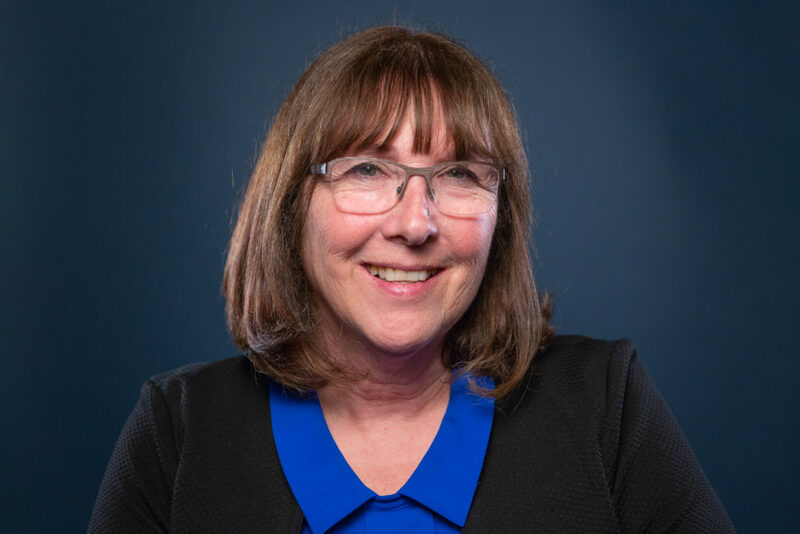 If job seekers had gaps in their employment or did not have adequate customer service skills, they were “invisible” in employers’ eyes, according to Biller. This perpetuated a cycle of systemic unemployment and underemployment which kept young people trapped with little hope of career advancement. “If we don’t solve this problem with this generation of young adults, by the time their children grow up and become adults we’ll be dealing with the same problem over again,” Biller said. Working with the 87-year-old nonprofit JVS, Biller and the Sheri and Les Biller Family Foundation brought together the nation’s leading bank institutions to fund a training program which would combat economic inequality and provide banks with well-trained bank teller candidates. However, there was no accelerated program, either from the banking industry or in vocational education, to train them before BankWork$. Romero, who graduated from the 75th JVS BankWork$ class in April, was initially turned down by Meadows when she applied to the program. Romero did not make it through the initial application process because her cash handling experience was not up-to-date. 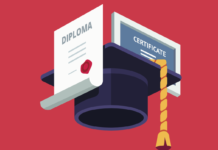 In addition to having one year of cash handling or sales experience, applicants must have a high school diploma or GED and undergo a rigorous interview process and background check. The vetting process ensures that the program takes in candidates who are ready to hit the ground running. Romero, undeterred from the initial rejection, instead sought out a position with a local check cashing and loan company. She was entrusted to run the store by herself and was soon overseeing operations of two more locations. It was minimum wage work, but she gained the experience she lacked. She called Meadows again to let her know how far she progressed. Meadows was impressed by Romero’s commitment to entering the program that she interviewed Romero over the phone on the spot. In early 2018, Romero began her long commute to JVS BankWork$ three days a week, while still holding down her job. “She’s worked hard; she drives over two hours each way to come to class. When I noticed how hard she was working and heard her story about being a single mom of two children, I knew that this program was just right for her,” said Meadows. Walker also did not have cash handling experience when he applied in 2016, but his background and his tenacity to make a better life for his family made an impact on the instructor too. “He was talking to customers about products and services, but it didn’t have direct sales goals, so we took a chance with Jerry and brought him in and he just blossomed,” Meadows said. Once inside the program, JVS BankWork$ participants must take the program seriously. They are expected to dress each day as if it was their job interview and conduct themselves as they would in the workplace environment. The condensed schedule affords no time for tardiness or skipping classes. There is a lot of ground to cover since JVS BankWork$ has changed the curriculum to meet the needs of their banking partners. 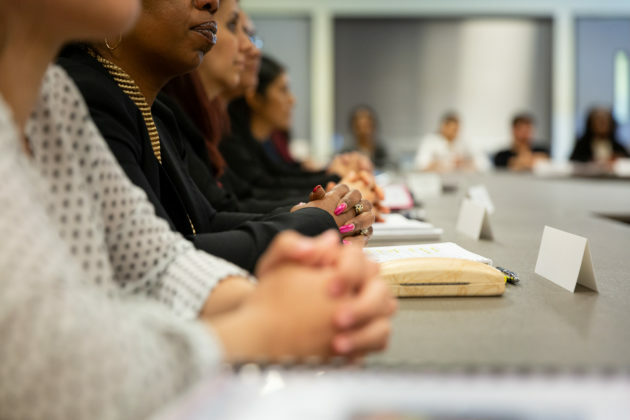 JVS BankWork$ brings competitors in the private sector, like Wells Fargo and Bank of America, to the same table to discuss the changes in the workforce. This is how the program has transformed its original focus from bank tellers to hybridized roles, such as universal banker, personal bankers et. al. 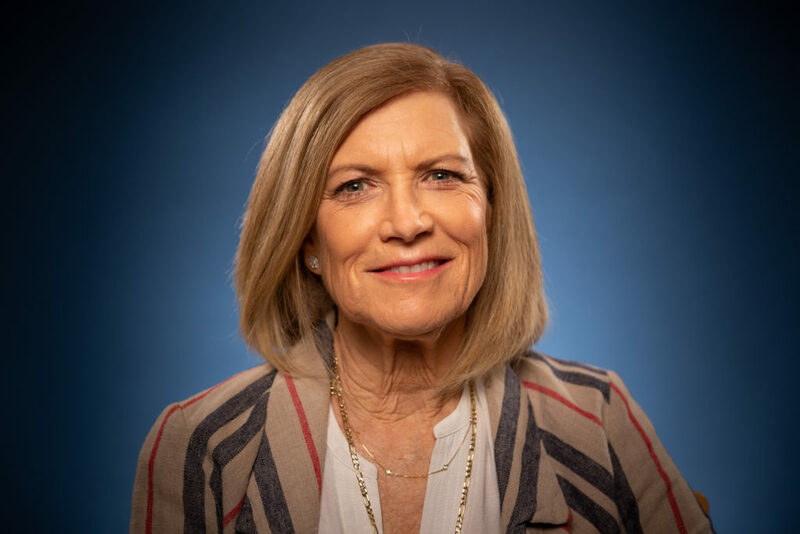 “Our bank partners need people who can sell, who can teach customers about technology, who know what the discovery questions are that they might ask a customer in order to meet their needs and develop a rapport with them,” Meadows said. Making these personal connections is the basis for the first module of the JVS BankWork$ program. Instructors go over the scenarios of working in a corporate setting and the strategies for positively interacting with co-workers and customers. Empathy, listening and public speaking are the soft skills that count in this environment. To build these skills, participants must do role-playing exercises and presentations. Their interactions are recorded and critiqued on playback. Instructors point out when they do not smile or were nervously moving their hands. Romero said that she got the thorough coaching she needed to overcome her stage fright, by continuously fixing the small details. “You’re not always going to be perfect, but at least there’s going to be someone telling you how to fix yourself, and how to carry yourself a lot better,” said Romero. After nailing down the fundamentals of customer service, BankWork$ participants then learn about the banking world. They are introduced to the rules and policies and the products that banks can offer their clients. For example, relationship bankers must have a broad knowledge of their product base and be personable enough to track down leads and bring new business into their branch. 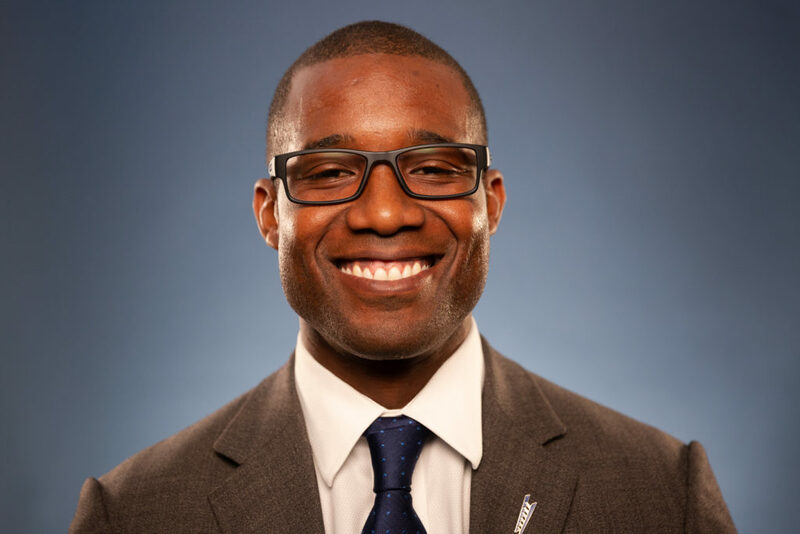 According to Walker, the instruction he got from BankWork$ was essential to him landing his new career as a relationship banker for City National Bank. “Building relationships are important. The banking, the clients, the deals, the loans, the new accounts, that all comes with time. But when you develop a relationship with someone, then that’s something that is going to last,” Walker said. The lectures, writing assignments, and presentations culminate in the final module, acing the job interview. 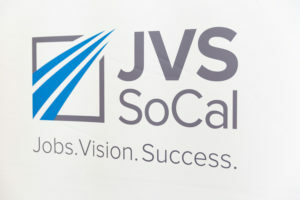 One of the unique aspects of the JVS BankWork$ program is that graduates go from their ceremony into a job fair where they meet with multiple banks. Walker said that the excitement of achieving their goal carries into this next phase. “You’ve got all this excitement built up and everything’s going well and you’re feeling good and it’s been a morning full of applause and congratulations. Then you walk into your interviews,” said Walker. Fresh from getting their certificates, BankWork$ graduates go through several job interviews in a row. 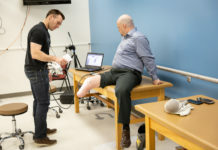 The program’s reputation for turning out the best of the best keeps the placement level high and many graduates get more than one offer by the end of the day. Walker got one with City National Bank and in two years he moved from bank teller to relationship banker. He was also instrumental in opening a new branch in the Crenshaw district last year. He was invited to speak at the JVS BankWork$ graduation last April and shared his experience with the crowd, which included Romero. “‘It makes me light up to know that there’s a new, fresh class that is getting ready to take the world by storm, and I think back to my day two years ago, and how much of my world was ahead of me at the time. I’m excited and happy for them, and I just try to get them to see that they have a wonderful opportunity,” said Walker. Romero said she was nervous about graduating and going through job interviews, but she thought back to how she dealt with the notorious Los Angeles traffic, working and being a mother all at once. What sustained her during those eight weeks was that she knew that she would have career prospects at the end. “That’s what really gave me relief knowing that this program is here to help you and not just put you in debt or anything like that. That really meant a lot to me. It really did,” said Romero. 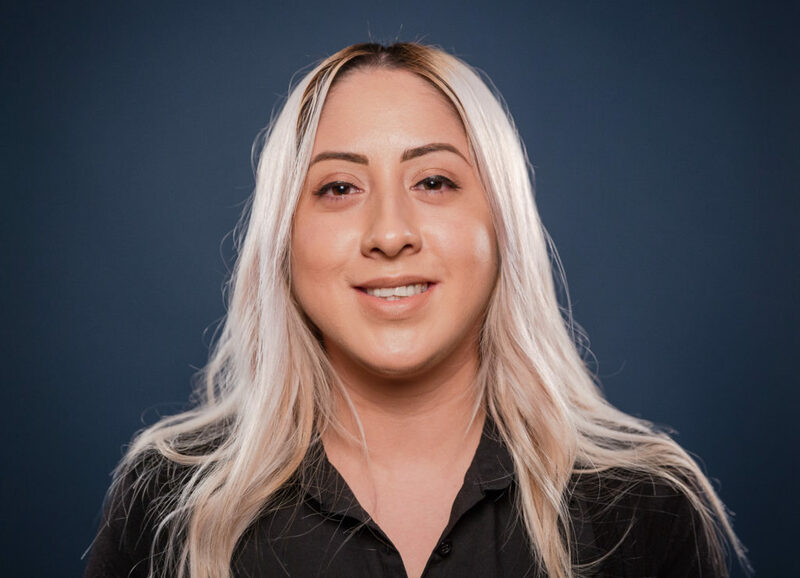 Bank of America hired Romero within weeks of graduation as a Client Service Representative, where she will put her bilingual skill to good use along with the skills she gained from JVS BankWork$. Through JVS BankWork$, Walker and Romero discovered that the short-term sacrifices they would make would pay off in the end. Walker is now working regular bankers’ hours and is putting money away for a new home and his kids’ college tuition funds. Romero is embarking on her new career and will be able to forego the long commutes and minimum wage work. Their stories represent a small part of the overall success of the JVS BankWork$ program. 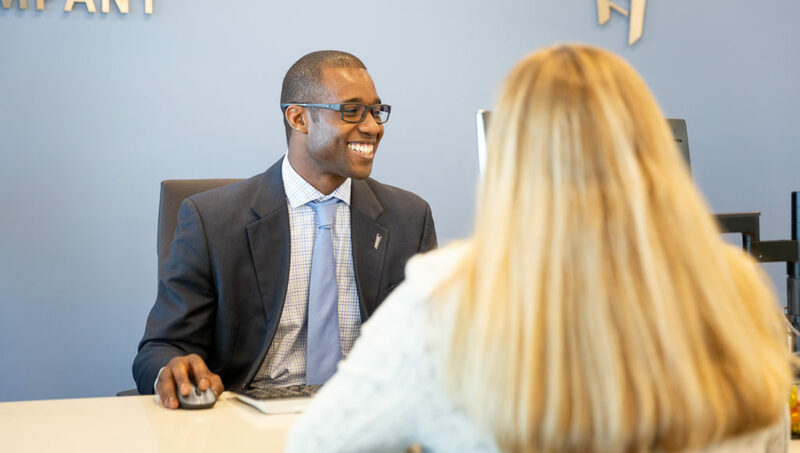 By attracting candidates who have the ambition to climb a career ladder, JVS BankWork$ has molded around 1,000 high-quality workers who will help their employers grow. The program’s proven success since 2006 has led to the founding of a national BankWork$ initiative which is available in 11 cities and is still growing. For more about the JVS BankWorks program and to apply online: click here. To see if the national BankWork$ program is available in your area: click here. Join the Conversation: Share your thoughts about WorkingNation’s latest Do Something Awesome video on our Facebook page. 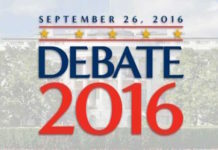 Will the Candidates Talk About Work?